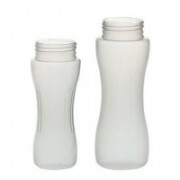 ÖKO H2O NASA Enhanced Water Filtration Bottles. 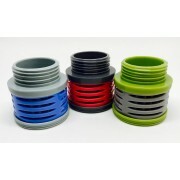 ÖKO Water bottles with replaceable filters that can be used at home or around the world. No need to purchase expensive bottled water anymore. ÖKO products, with three filtration level filters, give you confidence in knowing that serious contaminants are being removed from your water wherever you are. Whether at the office, gym, camping or traveling, hiking or biking or in case of an emergency, ÖKO filtered water bottles will allow you to drink fresh, clean water from most water sources worldwide.ÖKO combines water filtration technology originally designed for use in NASA ISS (International Space Station) with an elegant bottle design made of 100% FDA compliant materials. The combination yields a unique filtration bottle which is lightweight, versatile and can deliver the highest quality water from innumerable water sources in over 140 countries.